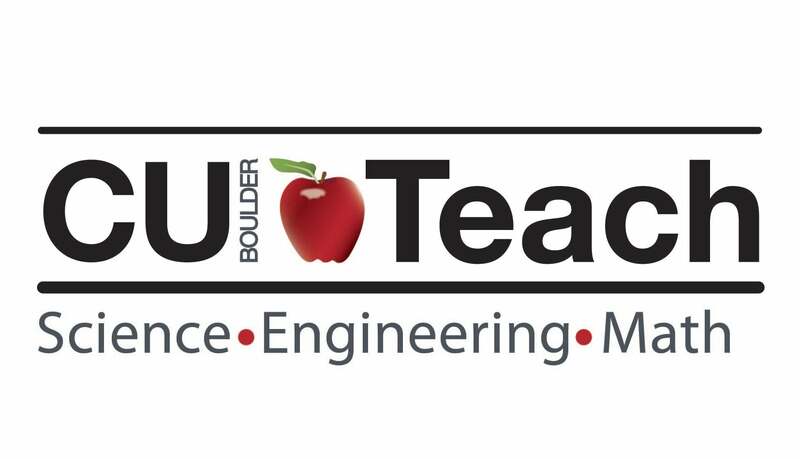 An innovative, nationally renowned secondary math and science teacher education program offered through a collaboration among the University of Colorado Boulder School of Education, the College of Arts and Sciences, and the College of Engineering and Applied Science. One of the first of 13 teacher education programs in the U.S. awarded a grant by the National Math and Science Initiative. A unique engineering pathway to science and math teacher licensure through an engineering major and the CU Teach Engineering Program. A program that prepares outstanding secondary (grades 7-12) science and math teachers. A strong network inside and outside of the classroom. Small class sizes with outstanding Master Teachers and faculty. Interested? Explore what CU Teach has to offer! Give it a try in a hands-on class with in-school experiences, register for Step 1: Inquiry into Teaching (EDUC 2020). Our new STEM Education Certificate combines CU Teach classes with STEM education outreach opportunities. For students interested in learning how to effectively communicate STEM related concepts, this is a great way to graduate with a skill set that can be applied in business, industry and more. of CU TEACH graduates seeking secondary teaching work are in teaching positions. straight CU TEACH graduates were selected for the prestigious Knowles Fellowship. or less in CU TEACH classes, offering close relationships with your outstanding faculty.